[caption id="attachment_107" align="alignleft" width="300"] CH-47 Chinook Helicopter Photo: Boeing[/caption] The Army is considering the next step for the CH-47F Chinook helicopter, produced by Boeing [BA], to provide more capability and lift and keep the heavy lifter relevant in coming years, officials said. Col. Rob Barrie, project manager, Cargo Helicopter, said Block 2 is still ill-defined, but it would likely be some package of engineering change proposals and/or next generation aircraft modifications. Barrie said the user community is plugged in with industry partners and working to keep the helicopter sustainable and relevant. Approving Block 2 involves such things as system requirements, robust system engineering, program alignment, contracts and approvals from Pentagon and acquisition leaders, he said at a Boeing breakfast Jan. 16. The package itself would likely include such things as an advanced rotorblade to buy back performance–buying back some 2,000 lbs. of cargo lost over time as other requirements added weight, he said. Other things the Army and Boeing are looking at include platform health monitoring and airframe modifications to allow more commonality with special operations aircraft. Still, 2013 was an “amazing” year, with a lot of moving parts, said Chuck Dabundo, Boeing vice president Cargo Helicopters. Boeing delivered 58 Chinooks. A focused factory renovation is humming, he said. It was a bottom-up designed production line for the future to strengthen effective and efficient Chinook production. Boeing invested $130 million of its own funds for the renovations. In 2011, the new factory opening was celebrated, while also celebrating the 50th anniversary of the Chinook’s first flight. The company and the Army also entered into a second multiyear contract in 2013, which is expected to save some 19 percent over a single year production contract, Dabundo said. This offers 155 aircraft with options for 60 more. The first of the Chinooks under the multi-year contract has already started down the production line. 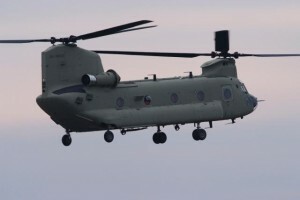 Additionally, Boeing has delivered seven Canadian Chinooks, which differ in electronics and fuel tanks from U.S. models. Seven more are still to be delivered under the contract. Dabundo said the program involved one million engineering hours to develop an improved electrical system, large fuel tanks and leverage some of that into the Chinook special operations G model. Those Chinooks are being used in training and initial missions right now, Dabundo said. Right now, Boeing is under contract for eight new build G model Chinooks for special operations, the first is on the production line now, he said. It will be delivered toward the end of the year for tests. On the international front, for the United Kingdom, the first three Mark 6 Chinooks are preparing for training; they were shipped over during the December holidays. Additionally, Dabundo said the company is close to signing a deal with India, and working on proposals for other countries, including the Netherlands and Singapore. Barrie said F model fielding has just finished for active forces, while delivery continues for the guard and reserve fleet. 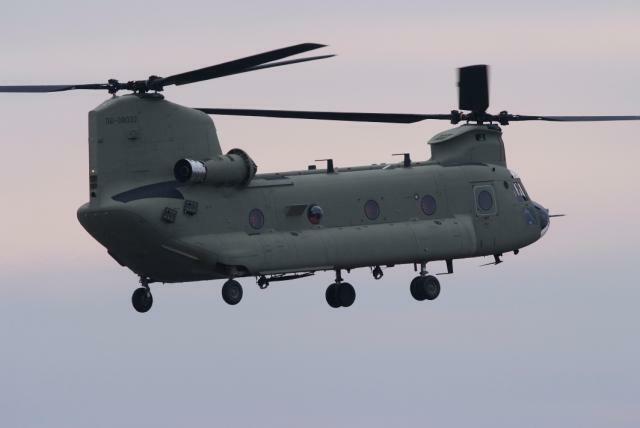 “Units are jumping for joy to get it.” Currently there are 61 Chinooks in theater, and Barrie said he receives a detailed report, by tail number, every day on their status. Overall there are more than 500 D and F variants fielded. Mark Ballew, Boeing Cargo/Tiltrotor Helicopters Business Development said there’s a lot of interest in the twin rotor helicopter internationally. Most are looking for additional aircraft or for the latest option. In that case, having a multi-year contract with the Army helps, as international work can be slotted in, take advantage of commonality of parts, mission equipment needs and training. Chinook is going to “fly until 2062—it’s going to be a hundred-year aircraft,” Ballew said.